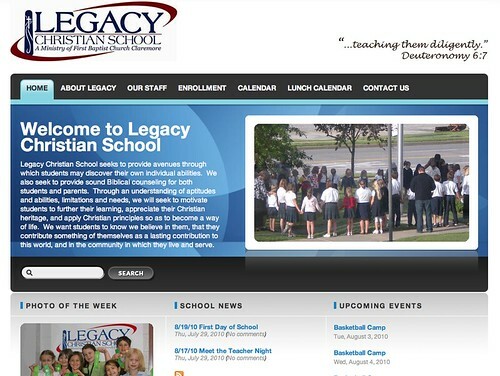 Last week we went live with a new version of the Legacy Christian School website. Check it out and let me know what you think. I built this using Element Fusion’s SkyCMS. Element Fusion is a great company out of Oklahoma City that I have worked with on a number of websites. I highly recommend this CMS. It’s comes with many templates that are easy to customize, and it’s very easy to create your own templates as well. Content management is also a breeze through this CMS. One of the most important things when building a website like this is ease of content management. 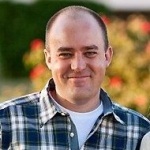 It’s almost better to not have a website than to have a website with stale content. If it’s easy for the customer to go in a add content than they are more likely to keep it fresh. SkyCMS makes this very easy.